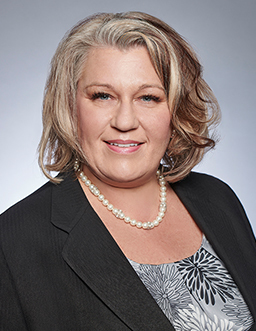 Ms. Jackson serves as Executive Vice President and Chief Financial Officer of the general partner of CVR Partners, LP, as well as Executive Vice President and Chief Financial Officer of CVR Energy, Inc., and the general partner of CVR Refining, LP. Prior to joining CVR Energy, Ms. Jackson served as Vice President and Controller of both Andeavor (formerly known as Tesoro Corporation) and the general partner of Andeavor Logistics (formerly known as Tesoro Logistics LP (“TLLP”)) from March 2015 to October 2016. From September 2013 through February 2015, she served as Vice President, Analytics and Financial Planning, of Tesoro Companies Inc. (“TCI”), a subsidiary of Tesoro. From February 2011 to February 2014, Ms. Jackson served as Vice President and Treasurer of Tesoro, and assumed such role for the general partner of TLLP from April 2012 until February 2014. Prior to that, Ms. Jackson served as Vice President of Internal Audit at TCI, where she headed Tesoro’s internal audit function, and in accounting, special project and internal audit roles at Valero Energy Corporation. Ms. Jackson began her career at Arthur Andersen LLP in San Antonio, Texas. She received a Bachelor of Business Administration and Accounting and a Master of Business Administration from The University of Texas at San Antonio. Ms. Jackson is a Certified Public Accountant.